Ever want to make your own NES game? Want to make it on an NES too? Check out Retro Puzzle Maker – a quirky little toy I made over my winter break. Just a quick update: I released another NES game for Ludum Dare. For those unfamiliar, Ludum Dare is a 48/72 hour coding competition. It features a dog trying to escape a collapsing world. It was built using nes-starter-kit, and served as a bit of a first full-fledged test of it. As a result of making it, I also have a number of improvements for the tool lined up. Overall I am quite pleased with how it came out. Check it out on the game’s page! My big focus in personal projects is obviously retro gaming, but sometimes I run into an annoying problem that hasn’t really been solved the way I want to, and have to dig in. I do web-based stuff sometimes, and to get started it often helps to have some dummy data to work with – when I looked recently I found two useful modules: Faker, which let me create fake data, and JSON Server which would create a server with real data based entirely off a json object. These both helped, but there was quite a bit of work to fit together a json object with all of the fake data. So, I put the two together! cruddie-mock is a globally-installed nodejs command that will spin up a RESTFul server based on a bunch of json files describing your models – complete with randomized-but-believable data. If the results aren’t clear, check out the demo site, which is powered by the application example. If this sounds useful, check it out on Github! I’ve been pretty quiet about game dev for a while, but that doesn’t mean it was forgotten. Since I went to MAGFest this year, I’ve been kind of obsessed with the idea of making retro development easier. The people I met made me realize that a lot of people want to get started, but aren’t sure how. While there are a lot of good options out there already, I realized there just might be a space for a code-based starter kit. nes-starter-kit is an attempt to make NES homebrew more accessible. 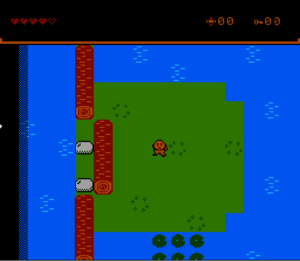 It is presented as an intentionally short zelda-esque NES game, combined with a guide to update/change/replace every part of it. (Click above to play the game!) All changes can be done in C – no lower-level coding is required. * The game uses neslib and some custom extensions written in 6502 assembly, which should cover your needs without modification. If you want to tweak these or write some code in assembly, there is some guidance in the 5th section for this. This is still very much a work-in-progress. The game is functional – it has collisions, enemies, and a way to win/lose. There are plenty of features that could be added, and I have a couple queued up, but I want to leave a lot up to creators. I do have some concerns about performance – I am preferring readability and easy editing over everything else. So far I haven’t run into any major issues, but I am worried other developers might. I am also not sure how useful it is with NESMaker on the horizon. The guide is broken into 5 sections, and is about 25% complete. My current plan is to focus on this for a while, sneaking in some new code changes when I get tired of writing. Anyway, everything’s available on github: click here! There’s also a thread about it on NesDev here, if you’d like to discuss! Let me know what you think if you decide to check it out! Is this something you would use? Github PRs/issues/etc also always welcome. I spent some more time with my Gameboy game builder (AKA classicgb) recently, and the results are surprisingly good. I spent some time adding scroll animations, as well as tweaking the collision physics a bit. There have also been a lot of more minor changes in the builder. The end result is that created games feel much more solid! There is still plenty to do; the editor still isn’t all that user-friendly, and the map editor is sorely missing some convenience features, to name a few. I’ll likely continue experimenting with this in the near future. Want to make a gameboy game? 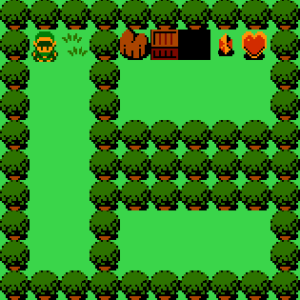 Head on over to the Gameboy game builder! Most of my posts on this site end up being about something I’ve built, but I think it’s time to try something new. I recently participated in Ludum Dare for the 3rd or 4th time, and I realized that I had played a lot of really impressive games. 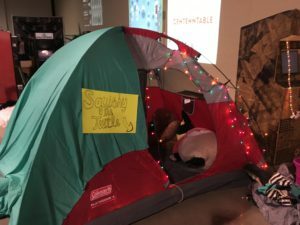 Game jams are a fun test of skill, where you challenge yourself to go from nothing to a functional (and more importantly fun) game in a very short period of time. Success relies on having a commanding knowledge of your tools, and usually a strong engine to build off of. Unfortunately, I don’t have the time or energy to go through all of the games I’ve played, but I thought it might be nice to highlight some of the cool games made for older consoles such as the NES and Gameboy. Details and screenshot and more beyond the fold! It’s been a little while since I posted an update, so here’s one! I participated in my third (successful) Ludum Dare this weekend, and created another NES game. This one is a bit of a puzzle game- you’re a rabbit trapped in space, trying to find his way back to earth. It’s a quirky little game, but I think it came out pretty well. There was a theme of “the more you have, the worse it is”, which led me to make gems that slow you down as you collect them. You have to get them all to exit, so plan your escape carefully. 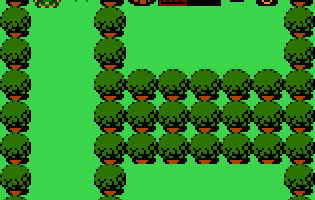 On a more technical note, this is one of the first times I’ve successfully used ppu scrolling in a NES game. I managed to do that in the last 2 hours of the contest. The scrolling is a little quirky – the hud tears a little. I could have sorted it out, but ran out of time. At any rate, if NES games are your thing, enjoy! Put your NES on the internet! I’ve got one more new (ish) NES project to share: NESNet. It’s a C library for making http requests from the NES. You need some extra hardware originally designed by Rachel Simone Weil for her ConnectedNES project, but once you have that you can use it to do some pretty cool stuff. My hope is someone will find this and do something really cool with it.